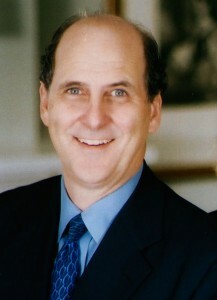 Jack Kleinhenz, Ph.D. is principal and chief economist of Kleinhenz & Associates, a firm specializing in economic consulting and wealth management services headquartered in Cleveland, Ohio. He is the chief economist for the National Retail Federation headquartered in Washington, D.C. and an adjunct professor of economics at Case Western Reserve University’s Weatherhead School of Management. Formerly with the Federal Reserve Bank of Cleveland and the Federal Home Loan Bank of Pittsburgh, Jack also served as chief economist and planning officer for the Greater Cleveland Growth Association, the nation’s largest chamber of commerce. As a professional economist with more than 35 years of broad-based experience working with Fortune 500 companies, banking firms, regulators, planners, universities, airports, manufacturers, chambers of commerce, trade associations, non-profit organizations and state and local government agencies, Jack is known for translating economics and information into clear explanations and action. A frequent speaker on business and regional economic issues, Jack is regularly called upon for his expertise by the local, national and international media. These include The Financial Times, Bloomberg News, CNBC, Fox News, National Public Radio, the Wall Street Journal, USA Today and The Washington Post. Jack is the immediate past president of the National Association for Business Economics (NABE), the largest international association of applied economists, strategists, academics, and policy-makers committed to the application of economics. In 2008, Jack was awarded the title of Fellow by the National Association for Business Economists for outstanding contributions to the business economics profession and leadership among business economists. Jack is a contributing forecaster to the Wall Street Journal, USA Today, Federal Reserve Bank of Chicago and the Federal Reserve Bank of Philadelphia. He also participates as a panelist for NABE’s Economic Outlook, Business Conditions and Policy surveys. Jack has been recognized by the Chicago Federal Reserve for forecasting excellence. He is member of the 45-member National Business Economic Issues Council, which meets quarterly to discuss issues of state, national and international interest. Jack is a current member of the Governor of Ohio’s Council of Economic Advisors and the Northeast Ohio Council of Economic Policy Advisors. He is a corporate director for Beverage Distributors, Inc. He serves on the investment committee of Alpha Sigma Nu, Inc., the Honor Society of Jesuit Institutions of Higher Education and is a former trustee of Notre Dame College. In 1995, Jack was named one of John Carroll University’s Top 50 School of Business Graduates. Previous faculty appointments include the University of Notre Dame and John Carroll University. Jack was a recent finalist for the 2014 Weatherhead School of Management Teaching Award. A graduate of John Carroll University, Jack earned his M.A. and Ph.D. in Economics from the University of Notre Dame.